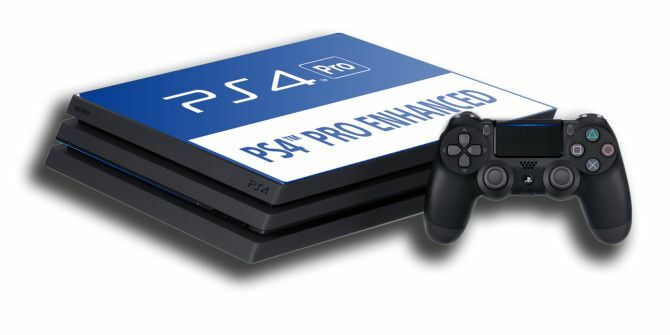 For better or worse, the PlayStation 4 Pro PS4 Pro & PS4 Slim: Are They Worth the Money? PS4 Pro & PS4 Slim: Are They Worth the Money? Sony has announced their new PS4 Pro and PS4 Slim! But are either of them worth the money? Here are all the details you need to know! Read More is coming. We’re not here to discuss whether Sony is making a good choice (or Microsoft with Scorpio Read Xbox One S Reviews, Apple Thinks the iPad Pro Is a Computer... [Tech News Digest] Read Xbox One S Reviews, Apple Thinks the iPad Pro Is a Computer... [Tech News Digest] The first Xbox One S reviews hit the web, Apple sells the iPad Pro as a computer, Google sells 30 million Chromecasts, YouTube encrypts 97% of its traffic, and IKEA mocks people who photograph their... Read More , for that matter), but rather, we want to tell you how to tell if a PS4 game will actually take advantage of the features of the Pro. Select titles may have enhanced visuals, frame rate, HDR 10 support, or increases in resolution. What are your thoughts on the PS4 Pro? Are you going to get one? Let us know in the comments!